Jim Woodall, Plan for If I Don’t Have You, Matt’s Gallery, 2016. Courtesy of the artist. For his one-day exhibition at Matt’s Gallery, If I Don’t Have You, Jim Woodall is making an intervention in gallery 1, removing the back wall of the gallery and installing sculptures which slowly evolve over the course of 8 hours. Taking its title from a love song by Gregory Isaacs, the time and place of the work is significant, If I Don’t Have You is Matt’s Gallery’s last show at Copperfield road, thus the event is intended as a physical eulogy for the space. Jim Woodall (b. 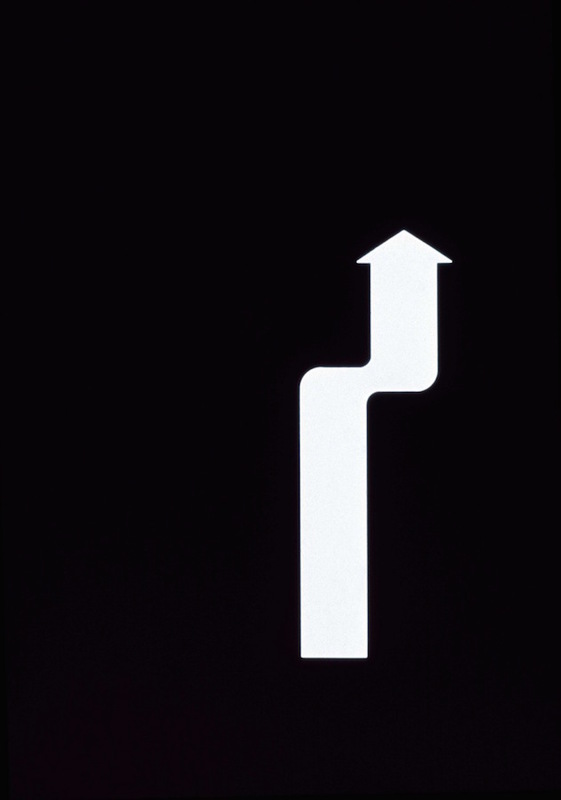 1978) works across sculpture, video, performance, and text. Exhibitions include: Adaptation of a Memory of my Father’s Studio Circa 1981, Studio RCA, London; Landscapes of Uncertainty, Marsden Woo, London; The Uneventful Day, Carroll/Fletcher, London. Woodall completed an MA in Sculpture at the Royal College of Art in 2013. He was a founding member of Cutup Collective. Blackrock Residency, Bronwen Buckeridge, 2015. 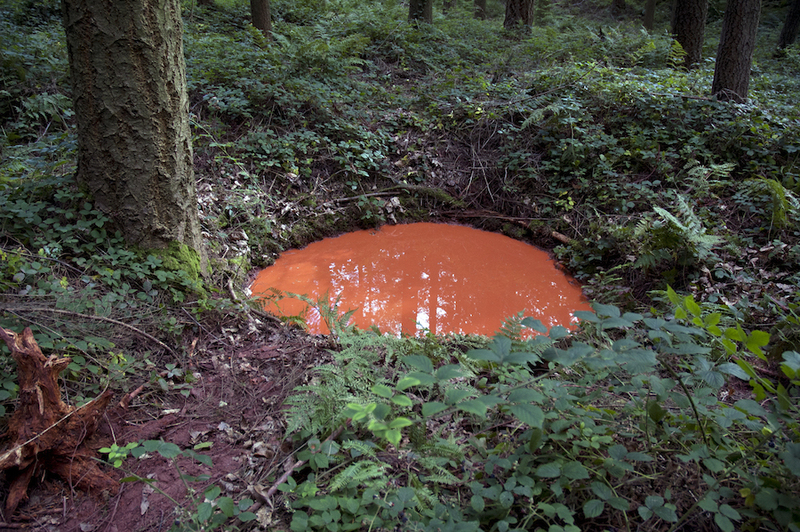 The Blackrock Artist Residency Programme is a partnership between Matt’s Gallery, London and Lydney Park Estate on the edge of the Forest of Dean, Gloucestershire. The next three artists will be Sally O’Reilly, Patrick Goddard and Alison Turnbull. Whilst in residence in May – June 2016, the artists will stay on and around the estate and share in a community of interaction, conceptual development and production of work. The Blackrock Artist Residency is supported by the Jerwood Charitable Foundation and Arts Council, England. There will be a publication and exhibition in September 2016. Artists Behind Bars is a group show presented by Kitty Finer, Matt’s Gallery and X Marks the Bökship. For one night shift only, the bar is the work of art, the artist is the bartender and the spectator is the punter. 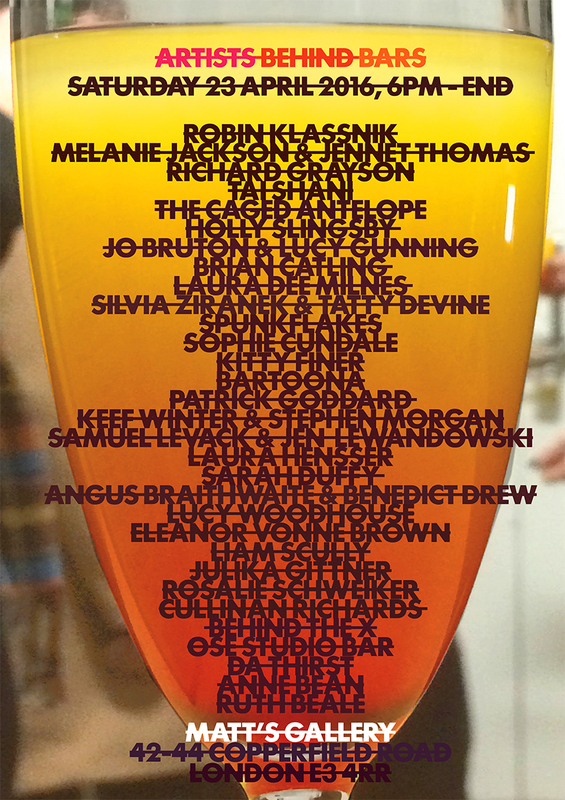 More than 25 artists will be building, installing, hosting and running their own bars that will takeover the gallery for the evening. 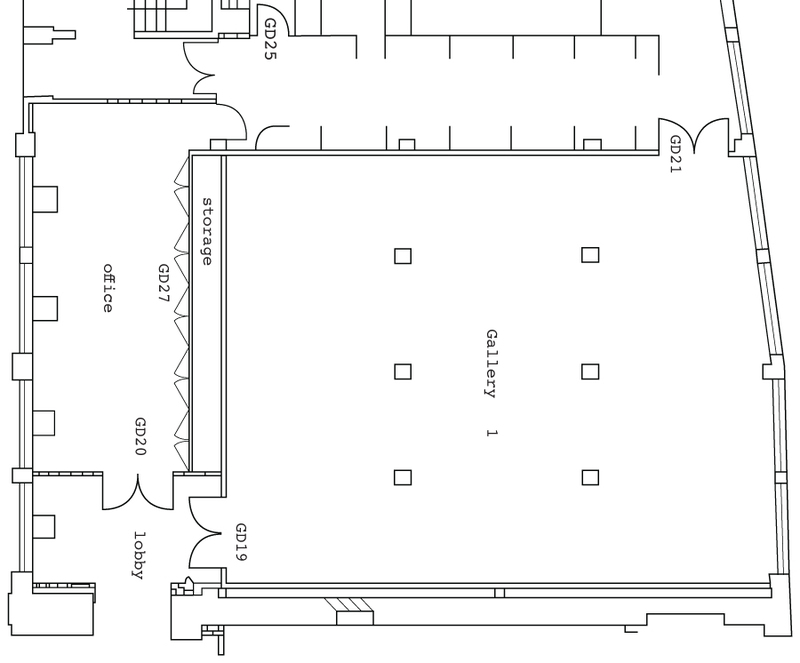 The audience will be mingling between the bars as if it were a street party. All bars with be cash only and drinks will vary. Artists Behind Bars is an event concocted by Kitty Finer that brings together artists who share an interest in spontaneous structures of hospitality and the (part time) role of bartending. 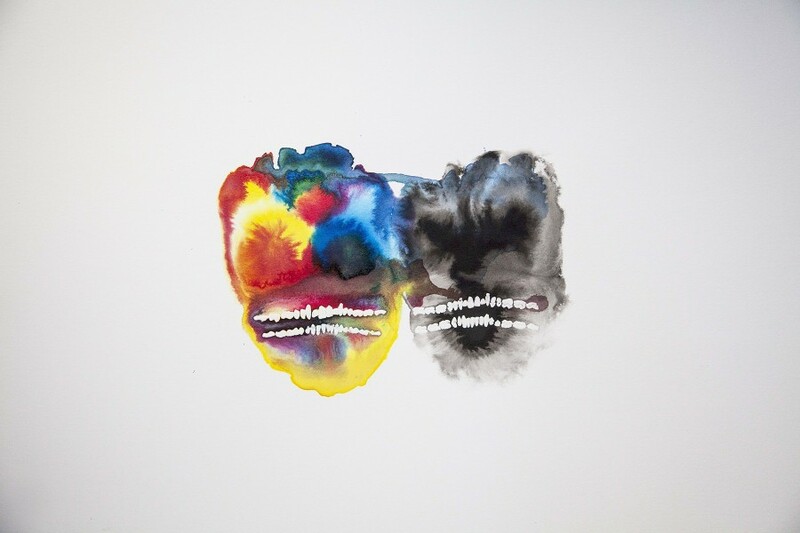 Graham Fagen, Scheme for Lament, Indian ink and enamel on paper, 2015. Courtesy the artist. For the third in a series of collaborations, Matt’s Gallery & CGP London present The Mighty Scheme, a major solo exhibition by Graham Fagen. The Mighty Scheme will span both CGP London galleries in the heart of Southwark Park, presenting an ambitious survey exhibition that will, for the first time, show a selection of Fagen’s most recent work within a formal gallery setting, contrasting the palatial settings in which some of the work has been previously exhibited. Continuing Fagen’s multidisciplinary approach, his interest in Jamaican history and its relationship with Scottish cultural identity, Fagen will be presenting a new neon work, reading Come into the Garden, and forget about the War, part of an ongoing (unique) series of neon works using this motto written in their relevant site-specific language(s). 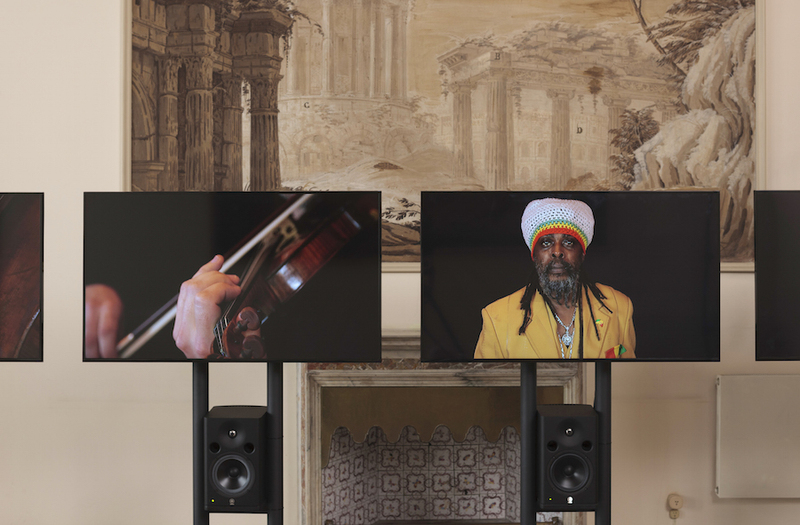 The exhibition also includes the epic sound and video installation premiered in Venice featuring Dub legend Ghetto Priest and The Scottish Ensemble. In March, Hospitalfield opened a major exhibition of work by Graham Fagen. The original exhibition was made for the four noble rooms of Palazzo Fontana, a historical building on the Grand Canal for his exhibition for Scotland +Venice 2015, during the 56th International Venice Biennale. In Arbroath the exhibition of sculpture, drawing and moving image has been installed, with some changes and additions, into the lovely and various historic Arts & Crafts rooms of Hospitalfield House. Benedict Drew and Nicholas Brooks, Sump, Installation still, 2016. Courtesy of the artist. 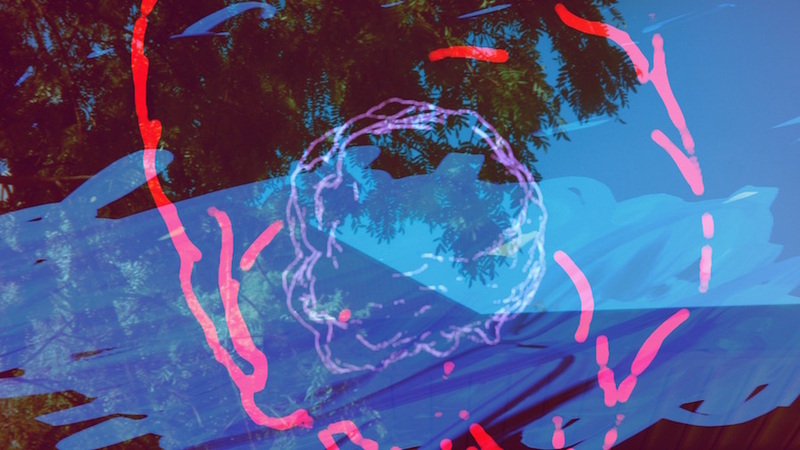 Sump is a collaboration between Benedict Drew and Nicholas Brooks. Benedict met Nicholas at the Slade School of Fine Art where they discovered a shared interest in mud, rocks, liquid crystals, fossil creatures, synthesised sound and especially all of those things together. They have showed together many times before including at The Jerwood Space London, Aid and Abet Cambridge, and Limbo Margate. Sump is their first collaboration. 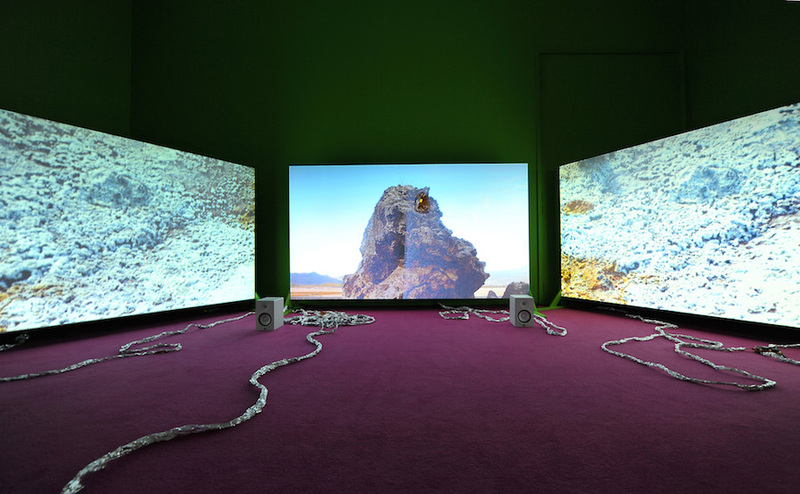 Benedict Drew, Mainland Rock (still), 2014. Courtesy of the artist. Benedict Drew exhibits work as part of Into boundless space I leap, a special exhibition and series of events celebrating the opening of the Maxwell Centre. The exhibition presents work by fourteen contemporary artists of international standing, including sculpture, video, installation and painting. The art works, which include new commissions, have been selected or created in response to the new Centre’s ethos of scientific discovery and collaboration. The exhibition reflects the physical sciences space as one of experiment, interaction, and ideas – creating the future. James Clerk Maxwell used art and poetry as an expression of his scientific research, and the title of the exhibition is taken from one of his poems. Visitors can explore the artworks installed throughout the new building. Jordan Baseman, Disambiguation, Slide projection, 2016. Courtesy the artist. Curated by artist Ben Judd, Stories in the Dark will feature the work of artists Benedict Drew, Jordan Baseman, Lindsay Seers, Adam Chodzko, Louisa Fairclough, Dryden Goodwin, Haroon Mirza and Guy Sherwin, who will use magic lanterns and items from the Beaney’s unique collections as starting points for new works. Invented in the 17th century, the magic lantern brought projected moving images to audiences for the very first time, creating breath-taking shows which captured the imagination. This unique and contemporary exhibition, co-commissioned by Whitstable Biennale, using film, projection and sound is on in the Beaney’s Special Exhibitions Room between Saturday 19 March and Sunday 19 June. 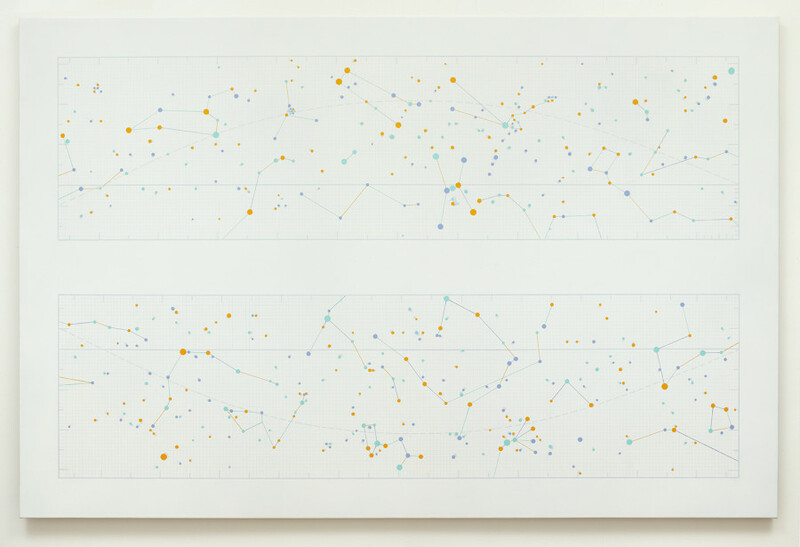 Alison Turnbull, Ecliptic, Oil, acrylic and silverpoint on canvas, 150 x 230 cm, 2013. Courtesy of the artist. Alison Turnbull is exhibiting two works in the exhibition Seeing Round Corners at Turner Contemporary in Margate. The exhibition explores how artists have responded to the phenomenon of the circle, the disc or the sphere. Seeing Round Corners showcases more than 50 works, presenting a variety of processes and media including painting, sculpture, film and photography, alongside design objects and historical artefacts. Fiona Crisp, Temple of Apollo, 2006/2012. Courtesy of the artist. Fiona Crisp exhibits alongside Hamish Fulton and Laure Provost in the group show, -scape: constructing nature, at the Holden Gallery in Manchester. There is a common expectation that as the landscape contains nature, then it is a natural thing. Yet, it is difficult to find a time when this has really been the case. It is frequently co-opted as part of the imagination of what landscape could, and ideally should, be. It can be a difficult thing to ‘read’. The three artists in –scape explore some of the diversions, delusions – as well as the delights – of the constructed landscape. In doing so, the work questions the relationship of space to experience and the ways in which meaning is constantly re-configured. 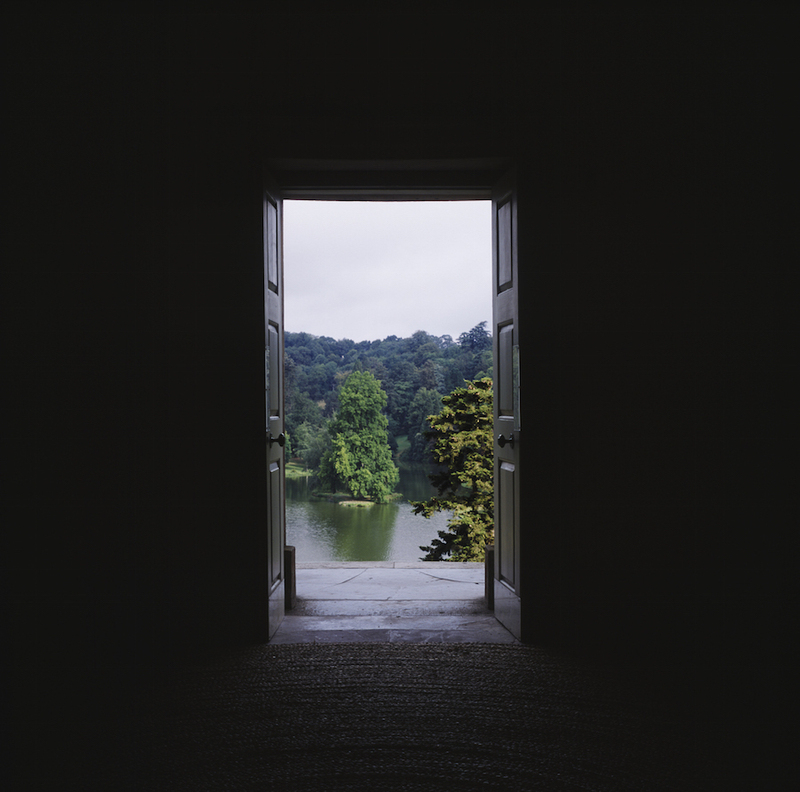 Works from Fiona Crisp’s, The Stourhead Cycle, a series of large-scale photographic works, was shown for the first time in the installation Negative Capability: The Stourhead Cycle at Matt’s Gallery, London in 2o12. 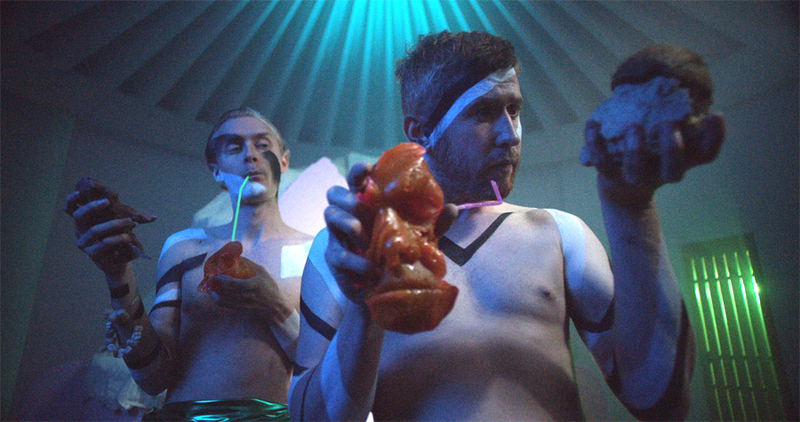 Lindsay Seers, Candy Cannibals, Sailors Bill and Chalkie Talkie (production still), 2016. Courtesy of the artist. Lindsay Seers’ work Candy Cannibals, Sailors Bill and Chalkie Talkie, will be exhibited a part of the group exhibition Objects Do Things. The Objects Do Things project appeals to the pleasure we get from engaging with the world of the imagination. 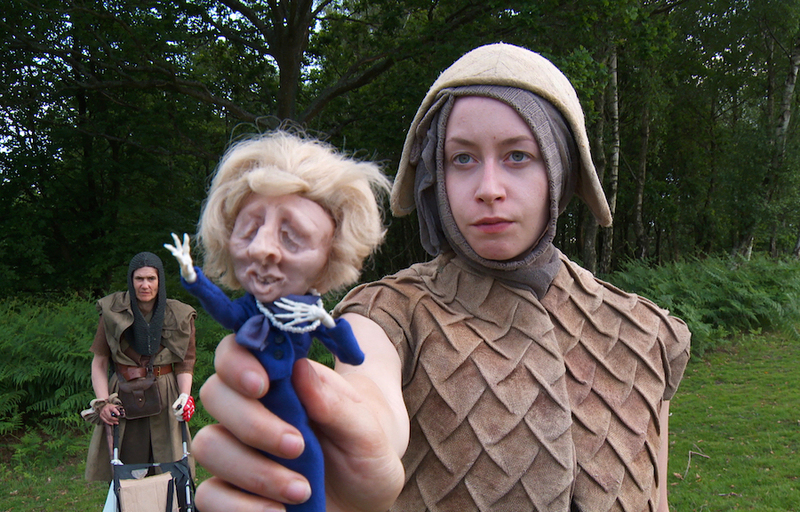 The project came about at the point where theatre and the visual arts meet, with fictional characters created by artists. A puppet theatre resembles the human world, in miniature, with the one difference: its actors are small, animated objects. The project puts “things” at the centre of the study. Its shows how objects can exist and interact in the artistic world and how this can refer to human existence. The characters brought into existence by artists have the ability to speak; rather extraordinarily, they activate stories contained in the exhibition space. 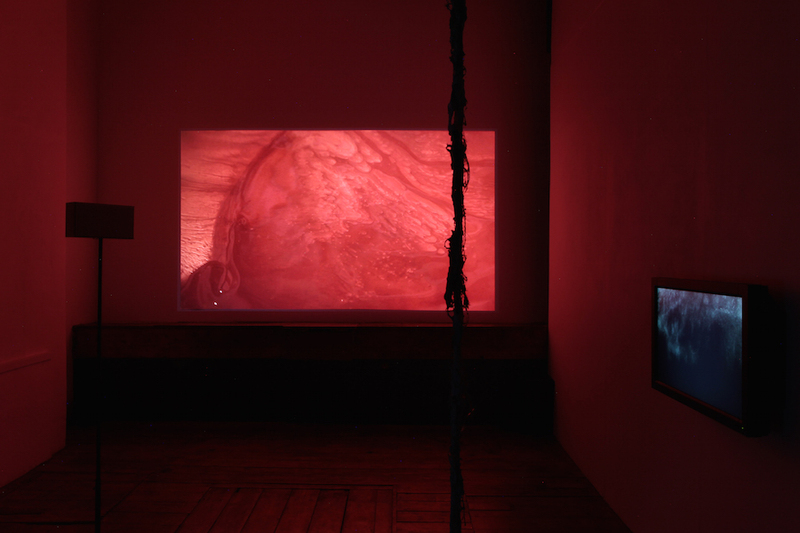 Imogen Stidworthy, The Whisper Heard, Installation still, Matt’s Gallery, 2015. Courtesy of the artist. 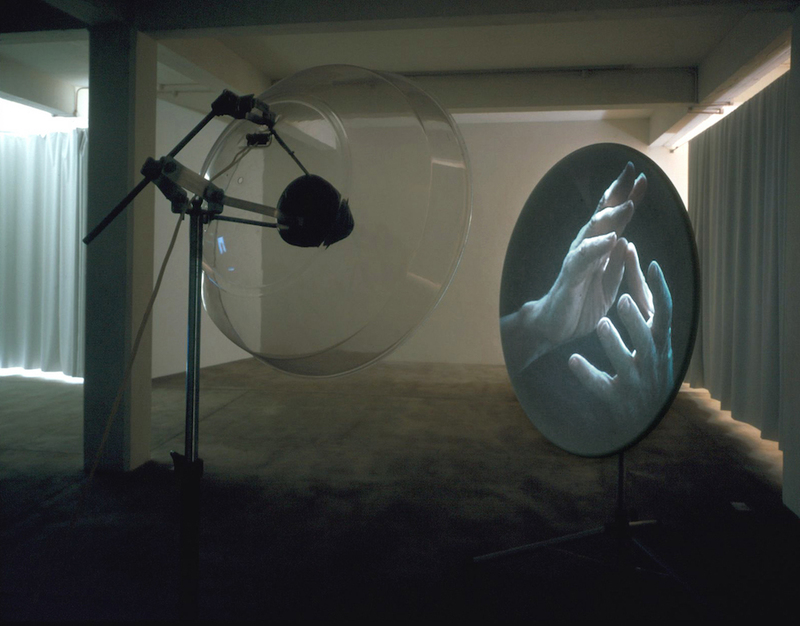 Imogen Stidworthy’s The Whisper Heard (2003), first shown at Matt’s Gallery in 2003, is presented as part of a series of installations at the Wellcome Collection. 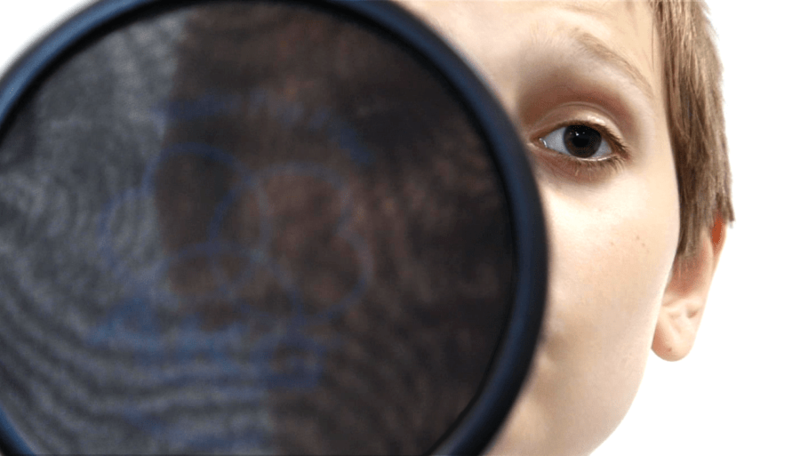 Contrasting the language acquisition of a young child with that of a stroke patient with aphasia, The Whisper Heard explores language, meaning and identity. The exhibition is open until 28 April 2016. Imogen Stidworthy, Castrati (still), 2016. Courtesy the artist. 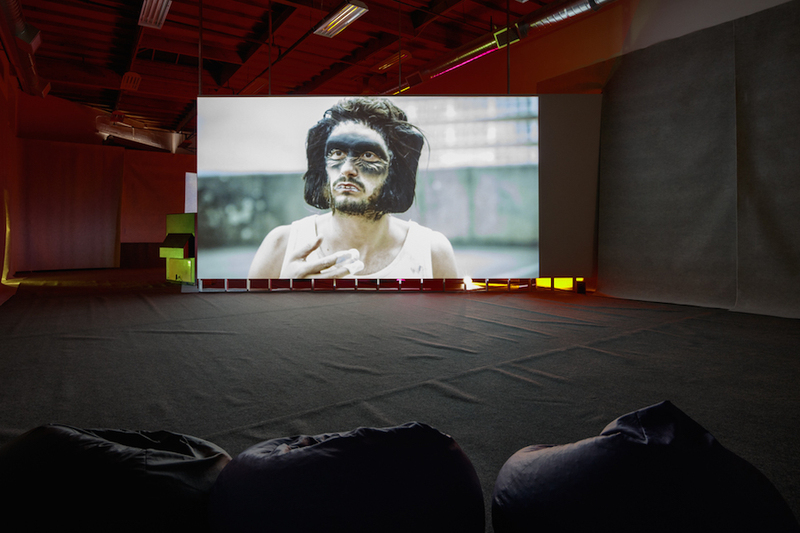 Imogen Stidworthy exhibits her new film Castrati (2016) in THIS IS A VOICE, a show which explores how the unique grain of our voice locates us socially, geographically and psychologically and how the voice is utterly flexible and can be altered with treatment and training. THIS IS A VOICE looks inside vocal tracts, restless minds and speech devices to capture the elusive nature of the human voice. Designed as an acoustic journey, the spotlight is cast on the meaning and emotions conveyed through the patterns of rhythm, stress and intonation. Non-verbal forms of communication are emphasised, revealing the power of the voice before and beyond words. Conceived as an acoustic journey, THIS IS A VOICE presents works by artists and vocalists, punctuated by paintings, manuscripts, medical illustrations and ethnographic objects. 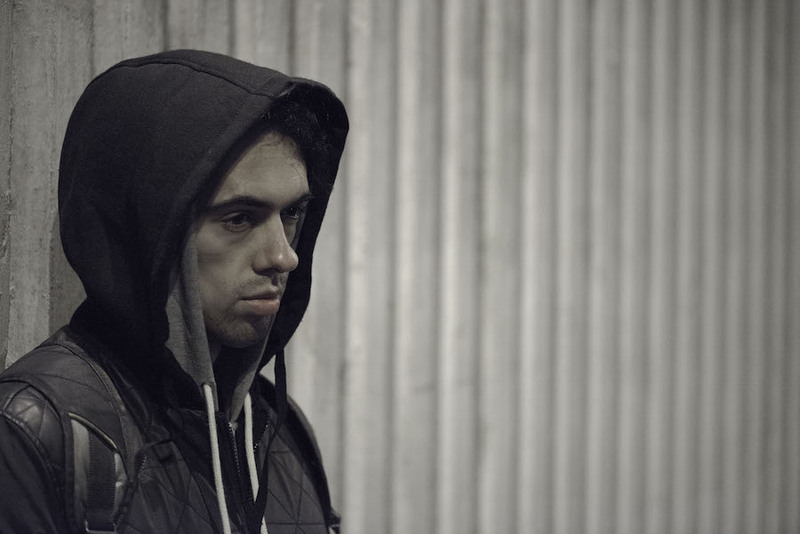 Nathaniel Mellors, Ourhouse Ep. -1 – Time, 2016. Video still. Presented by the Contemporary Art Society, 2015, through the Annual Award funded by the Sfumato Foundation with the support of the National Gallery of Victoria, Melbourne and the Mondriaan Foundation. Commissioned by the Harris Museum and Art Gallery, Preston. Produced by Nathaniel Mellors & NOMAD. In 2014, Nathaniel Mellors, in partnership with the Harris Museum & Art Gallery was the recipient of the Contemporary Art Society Award enabling him to create his most ambitious film to date, Ourhouse, Ep.-1: Time. The absurdist drama, which is shot in various locations around Preston, features a family who inhabit Preston’s iconic, Brutalist bus station — and find themselves inhabited by Neanderthals after Charles ‘Daddy’ Maddox-Wilson (Richard Bremmer) announces his imminent celebrity. Charles has invented a revolutionary new theory of time — but the family’s subsequent attempts at time-travel see them duped, cannibalised and trapped inside a permanent present. Ourhouse, Ep.-1: Time is being shown as part of a group exhibition, Nothing Happens, Twice of national and international artists that includes film works, sculpture and painting and 6 commissions. Nathaniel Mellors, Ourhouse Episode -1: Time, 2015-16 HD Video, Installation Still, 2016. Courtesy of the artist. Prequel Dump is Nathaniel Mellors’ first solo exhibition at The Box. The installation combines the video works Ourhouse (2010 – 16), Neanderthal Container (2014) and Giantbum (2008) with the vomiting animatronic sculpture The Object (2010), new sculptures, photograms & paintings. 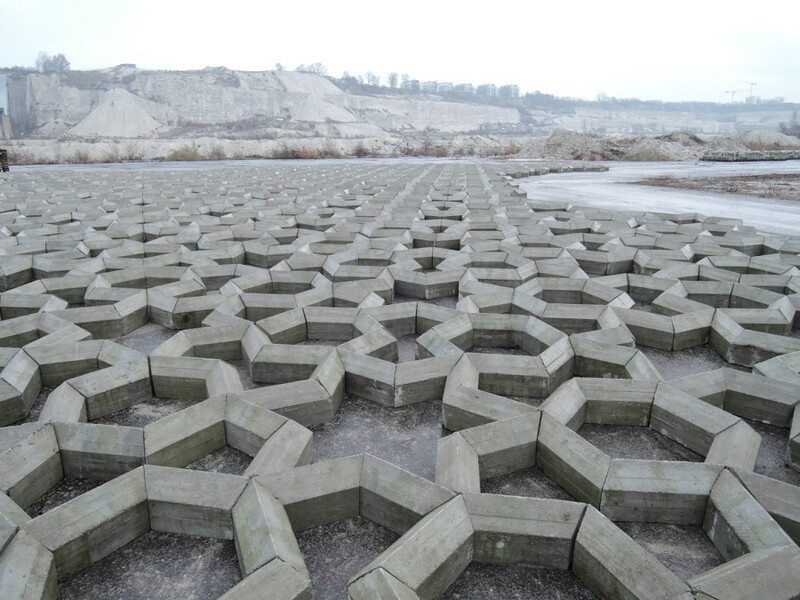 Mike Nelson, Imperfect geometry for a concrete quarry, installation view (in progress), Kalkbrottet, Limhamn, Malmö, Sweden. Courtesy of the artist. Mike Nelson, from the series Amnesiac Shrine, 2007. Mike Nelson has created an installation that questions the distinction between real and fictional time for the eighth edition of ‘Sensory Spaces’. 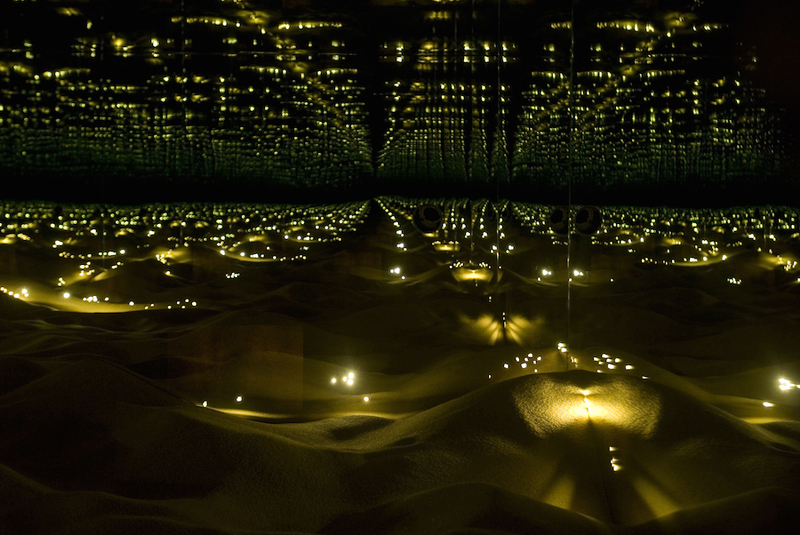 Nelson creates immersive environments that evade linear temporality and impact as physically and emotionally disruptive. The preoccupation with scale and the participatory engagement of the visitors overcome categorizations, defining an experience located in an area of tension between what can and what cannot be defined as art. For Sensory Spaces 8, Mike Nelson revisits Amnesiac Shrine, a set of successive artworks conceived as a category in its own right, more than simply a series. Ordinary time and fictional time are aligned, testing the former’s regularity against the viewer’s experience. A recurrence of multiple visual reflections, illusions and flashbacks creates fundamental elements that demand to be completed with the baggage of personal experience. Willie Doherty, Home, 2016. Two screen video installation, colour, sound. Willie Doherty’s The Amnesiac (2014), Remains (2013) and Buried (2009) is currently being exhibited at the Villa Merkel until 24 April 2016, together with a new two screen video installation, Home and a selection of new photographic works. Anne Bean, 2016. Courtesy of the artist. 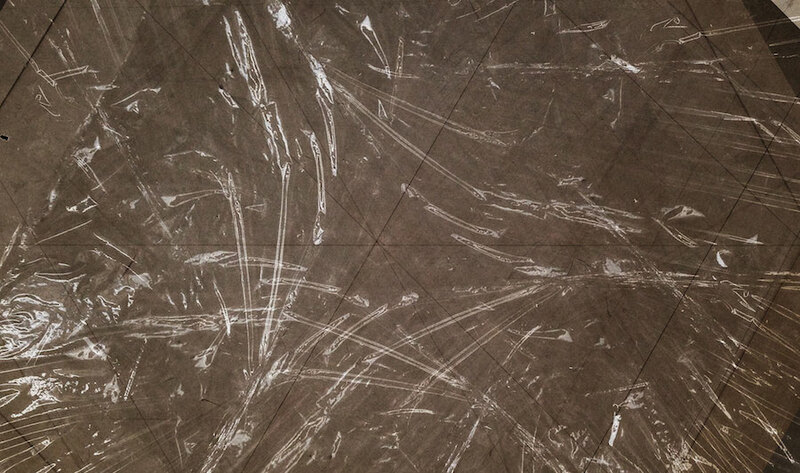 Anne Bean exhibits in Preparing the Site, a group show concerned with ideas of plasticity and transmutation, namely, the quality or process that lends itself to some change in a thing’s form, nature, or substance. Through material processes and material language, the exhibition will interpret how ideas, objects, and sites are physically or symbolically transformed via a process of material transmutation Featured artists: Anne Bean, Camilla Bliss, Jeannie Driver, John Macedo, Alex May, Sarah Roberts and Jasper Weinstein Sheffield. Anne Bean takes part in Unlimited Action: Limits of Performance at the Whitechapel Gallery, a symposium with Nigel Rolfe and Ulay, chaired by Dominic Johnson on Saturday 28 May, 1pm – 6pm, £12.50/£10.50 concs. What limits are imposed on performance and by who? This event brings together artists, curators and academics to explore questions related to the limits of the body, performance, aesthetics, material conditions, institutional practices, pleasure, or desire. Speakers include artists Anne Bean, Nigel Rolfe and Ulay, who will also perform. In collaboration with Dominic Johnson (Queen Mary University of London), supported by the Arts and Humanities Research Council. Jennet Thomas, The Unspeakable Freedom Device (still), 2015. Courtesy the artist. A kind of warped Folk-tale, the film follows two women through a bizarre, broken landscape of collapsing signs and imploding meanings, on a pilgrimage to the Winter Gardens, to seek a cure for their green baby from the cult of Margaret Thatcher. In this fantastic, primitive-future world, the difference between technology and magic has become incomprehensible. The 37 film minute film will be embedded in a thematic installation. Benedict Drew, Sequencer, 2015 © Benedict Drew 2015. Installation view: British Art Show 8, Leeds Art Gallery, 2015-17. Photo © Leeds Museums and Galleries 2015. Benedict Drew and Imogen Stidworthy have been selected for the British Art Show 8, widely recognised as the most ambitious and influential exhibition of contemporary British art, with artists chosen for their significant contribution over the past five years. Imogen presents the installation A Crack in the Light, 2013, which was first shown as part of the Bergen Triennale 2013, while Benedict has created new work Sequencer, 2015 specifically for the exhibition. After Edinburgh, the work will tour to Norwich and Southampton during 2016/17.